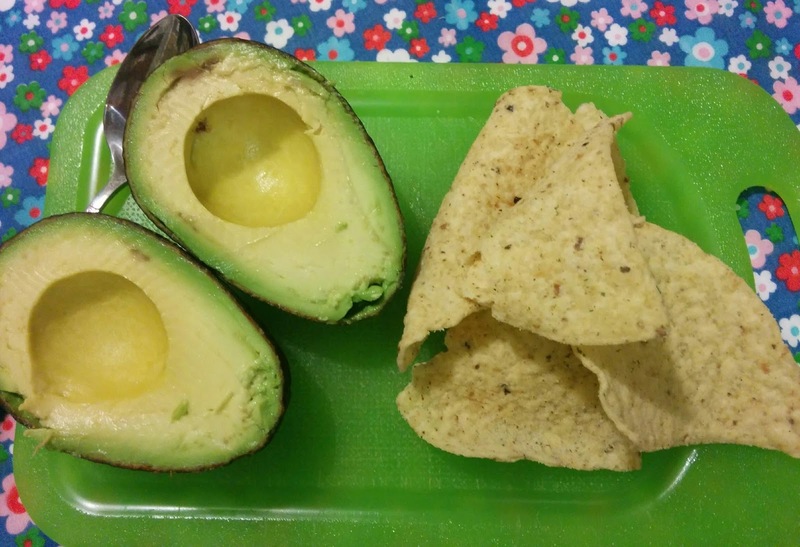 I'm always trying to find and think of healthy and healthy-ish snacks for work, travel, kids, etc. 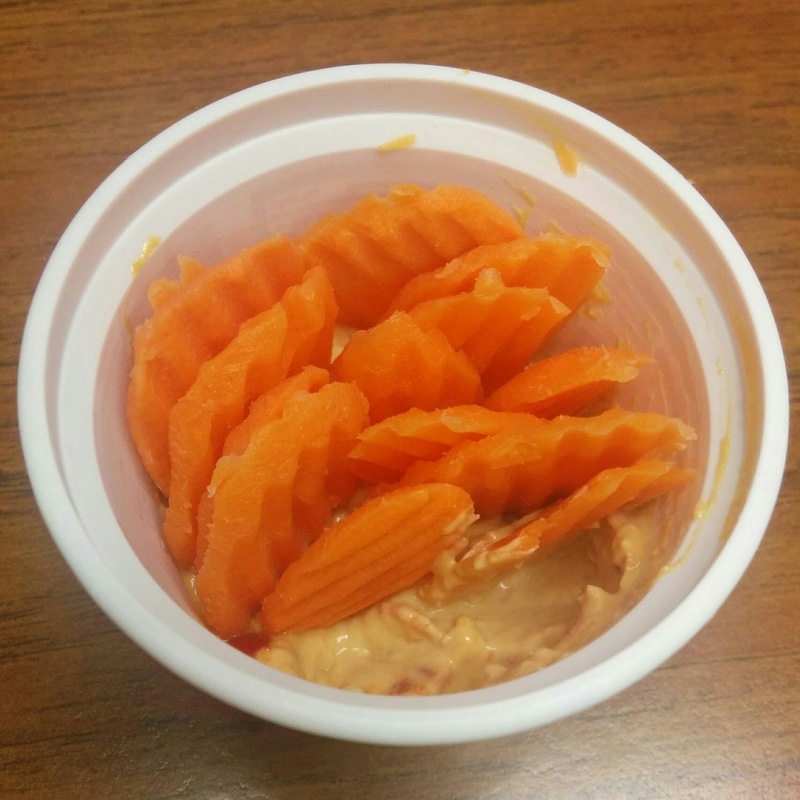 My current favorite is carrots and hummus. I love chip-sliced carrots for dipping. 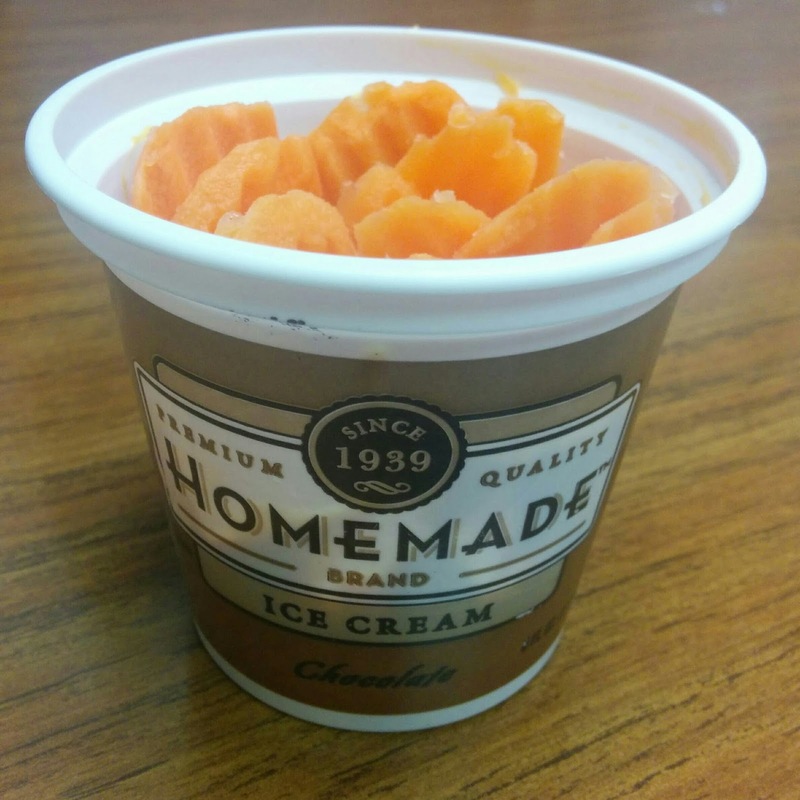 So much better than baby carrots for delivering hummus or veggie dips. I drop a couple of tablespoons of red pepper or pine nut humus on the bottom, then pack in as many carrots as I can. You'll quickly find the right ratio for you. 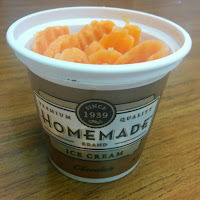 I don't always snack healthy as you can see from my favorite snack container, a repurposed ice cream cup with lid. If you want something more indulgent try UDF's Cookies 'n Cream ice cream. The ice cream tastes like Oreo filling. Uh-MAY-zing! is small and hard to find, but so worth it. Pass over any that are very squishy. I like to use the spife from a pack of Mighties kiwis when I'm on the go. This knife and spoon in one makes it easy to enjoy my favorite snack. Share your favorite snacks in the comments. I have at least two road trips ahead of me this summer and need portable foods.